The cable has a 30-foot reach for maximized convenience. 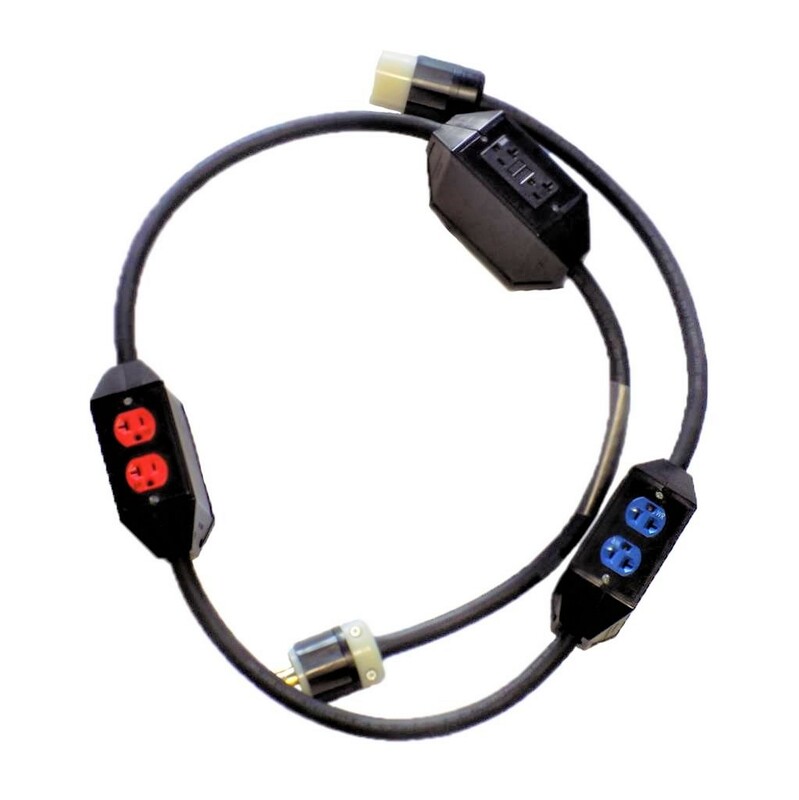 Enjoy using a cable that has been custom-designed for toughness and excellence. Watertight plugs give you peace of mind. This ground fault protected booth stringer is light, simple, and convenient. 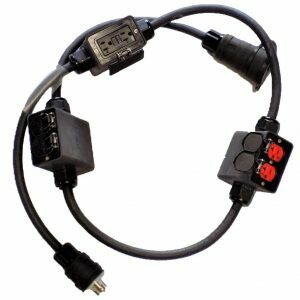 However, we didn’t compromise on component excellence, so you can depend on this cable to support the rest of your power system every time. You get three waterproof, WR-rated duplex enclosures with color-coded outputs for the ultimate convenience. Check out the specs and contact us for a free consultation! CUSTOM 30FT 20AMP BOOTH STRINGER GFI. Incoming: 1 EACH . – 20AMP, 120/208V (NEMA L21-20) PLUG. 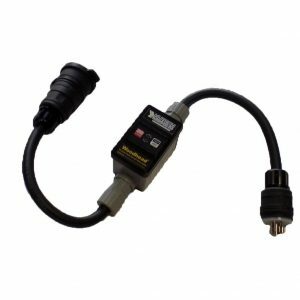 Outputs: 1 EACH – 20AMP, 120/208V (NEMA L21-20) CONNECTOR. 3 EACH -20 AMP, 125V GFI WR RATED DUPLEX RECEPTACLES. 3 EACH – 20AMP, 125V WR RATED DUPLEX RECEPTACLES. 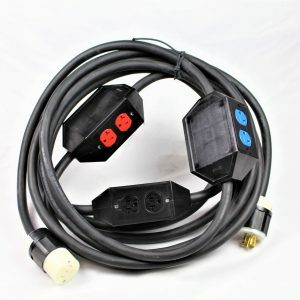 CONFIGURATION: PLUG, 7FT BOX, 10FT BOX, 10FT BOX, 3FT CONNECTOR.